As an avid lover of all things Disney, musical, and live performances, I was elated to receive an invitation to attend opening night of Mary Poppins at the Benedum Center in Pittsburgh. The show promised to include some of my favorite songs, a great all-star cast, and a few surprises along the way. On Friday evening, my mom and I were swept away in the magic of childhood dreams, the fun that can happen with a bit of a change in perspective, and the beautiful music that rounds out the play. The Original National Tour Company of MARY POPPINS perform “Supercalifragilisticexpialidocious.” ©Disney/CML. Photo by Joan Marcus. The scenery, backdrop, and special effects for the show are nothing short of breathtaking. The Banks house on Cherry Tree Lane unfolds itself like a huge storybook. Bert’s pictures in the park magically come to life along with dancing statues. The bird woman in the square preforms her solo to a magnificent realistic sunset backdrop with flocks of flying birds. Characters pop through chimneys, walk up the sides of the theater walls and tap dance upside down while suspended in the air. 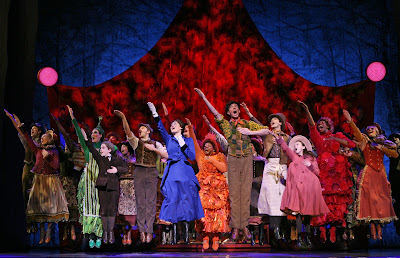 As she is leaving the Banks family for good, Mary Poppins actually flies from the stage, out over the orchestra pit, above the audiences’ heads before soaring into the upper parts of the theater and disappearing into the balcony. As a former tap dancer, the choreographed “Step in Time” scene was absolutely amazing allowing most in the cast to truly showcase their dancing skills and abilities. The costumes were beautiful, particularly the Starlighters’ costumes which included over 800 hand-sewn crystal stars on each individual costume. If you are in musical theater lover in the Pittsburgh area, have children, or are a child at heart this play is an absolute must. 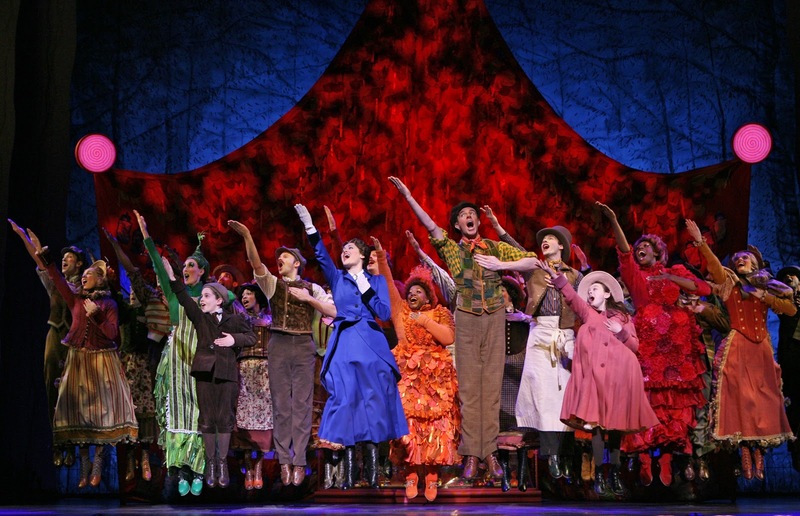 The show will be showing at the Benedum Center through January 23rd. Or visit MaryPoppins.com for more information about the North American tour and plans that are underway for a Canadian Tour. Disclaimer: I was provided tickets for my mom and I to see the show courtesy of the Pittsburgh Cultural Arts. I was not compensated or required to write a review. All thoughts and opinions expressed in this post are my own.